Hey guys, long time lurker that finally joined. I've been on bimmerforums since '09. I'm 31 married the last 5. No kids yet. I'm an electrical engineering tech for a maritime defense company. Love my job but ideally I'd like to make money with photography, my latest hobby/obsession. I've had an E36 in the past. A 1994 325i Convertible. Loved that car but always wanted an M. A couple of months ago I picked up a new toy. A 97 M3 coupe in Estoril with Dove interior. Absolutely love this car. Lots of little fixes already done and a serious cooling system overhaul will be underway very soon. The plan is to keep it as my Sunday/fun car. Not building for comfort but not a track rat either. I'm Shaun, 38 from Virginia. I'm married and have three kids, two boys ages 6-1/2 (that half is very important) and 4, and a girl, 1. 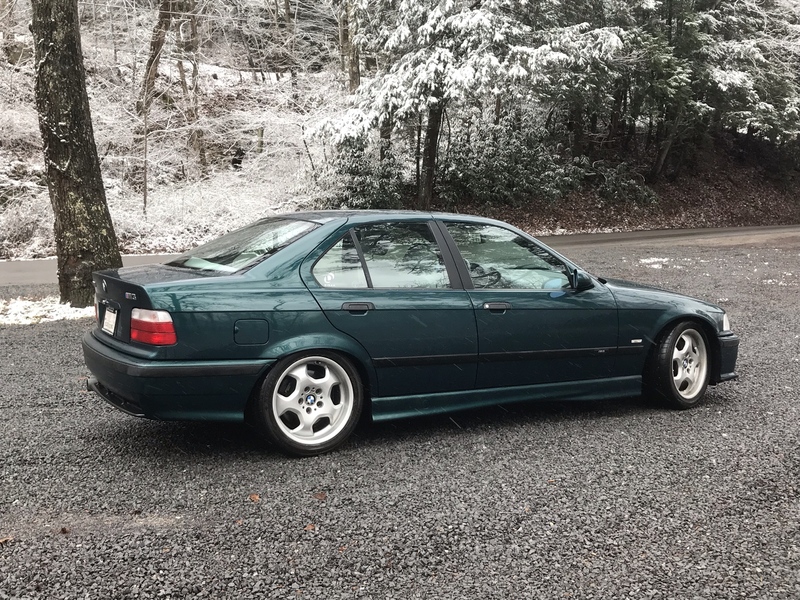 A few weeks ago I jumped on an opportunity to buy a 1997 M3/4/5 in arctic silver with a whopping 36,700 miles on the clock. I have owned two BMW's in the past, a 1998 328i/4/5 and a 1999 328i/4/A (boo on the automatic trans). The second one I owned for 7 years before trading it in for a minivan . Needless to say, I'm thrilled to be driving a BMW again, and the fact that it's an M3 is icing on the cake. Wow!! Nice pick-up and low miles too. Be sure to post pictures of the car here, would love to see it!! Hey, my name is Ajwad I go by AJ. I've been a BMW owner since 2016 and have multiple E39 5ers and I've finally settled onto my dream car which is a 95 Dakar M3/2/5 on November, 11 2017. I'm 17 years old and a junior in Highschool. Hello everyone! 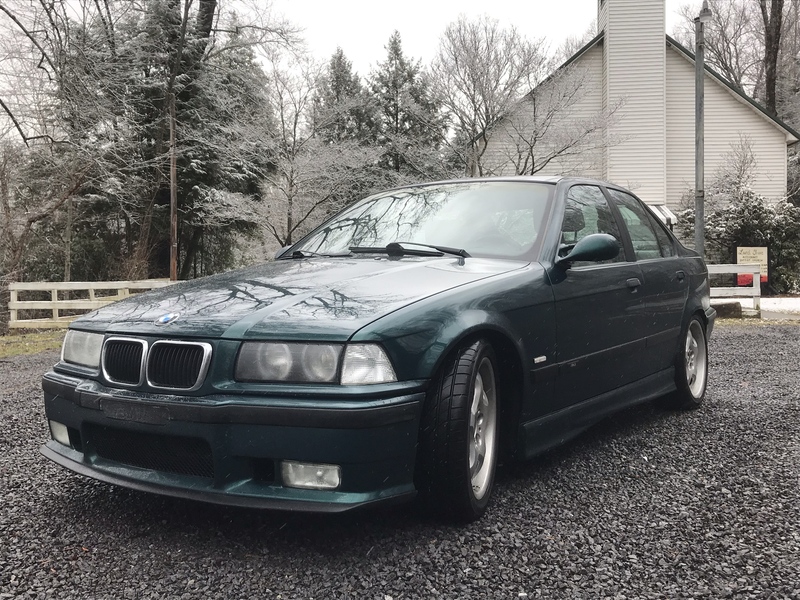 I'm the proud new owner of a 1997 M3 in Boston Green over dove. The previous owner (or owners, not sure when the modifications were made) installed a Dinan cold air intake, stage two programming, and a very loud and soon-to-be-replaced magnaflow cat-back exhaust. I picked the car up from a local dealership in North Carolina two weeks ago and am currently storing it in a family member's garage in Indiana till the Michigan winter is over. A little about myself: I'm 24 years old and have been working as a quality engineer at Cosworth in Shelby Township Michigan for the past year. I've always been a BMW fanatic, but never thought I'd get the chance to own one until much later in life. I'm thrilled to have my M3 and look forward to learning more about it through the extensive knowledge on this forum and others. All times are GMT. The time now is 04:22:32 PM.